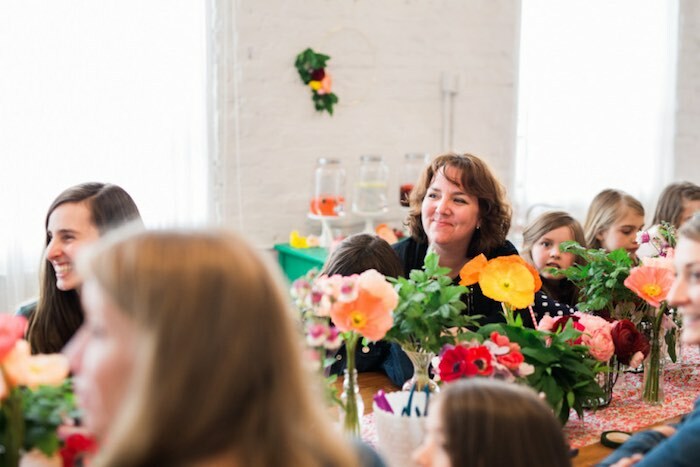 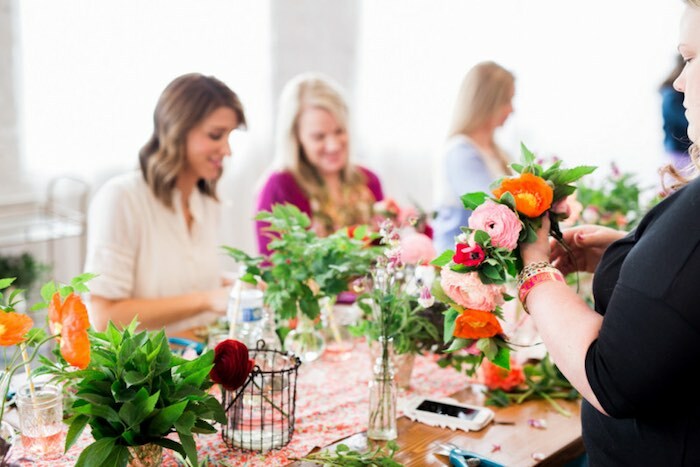 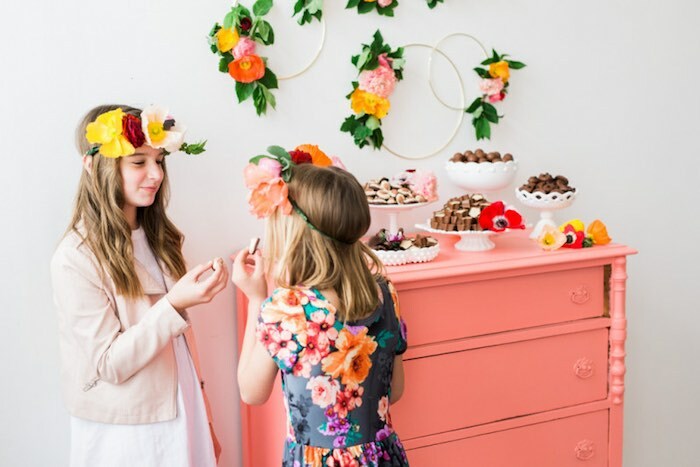 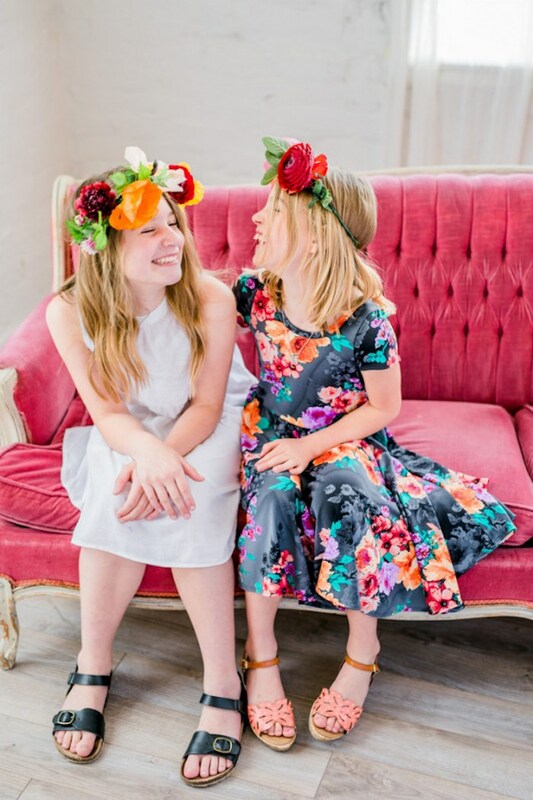 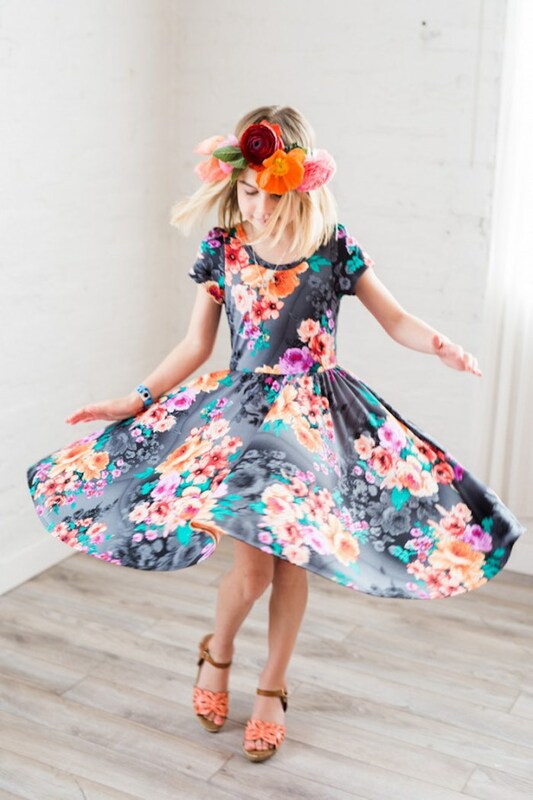 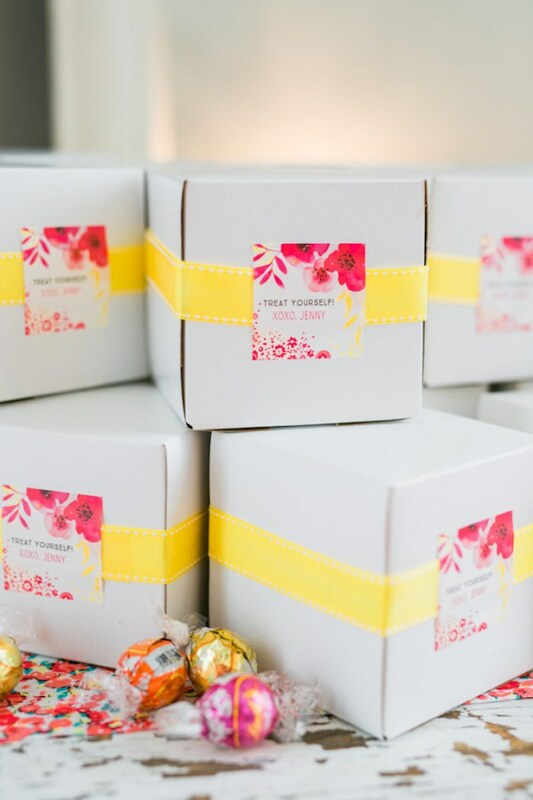 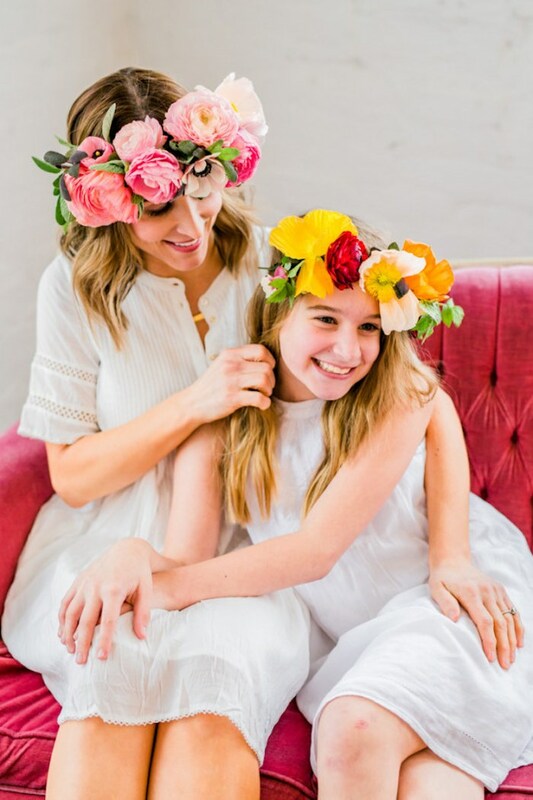 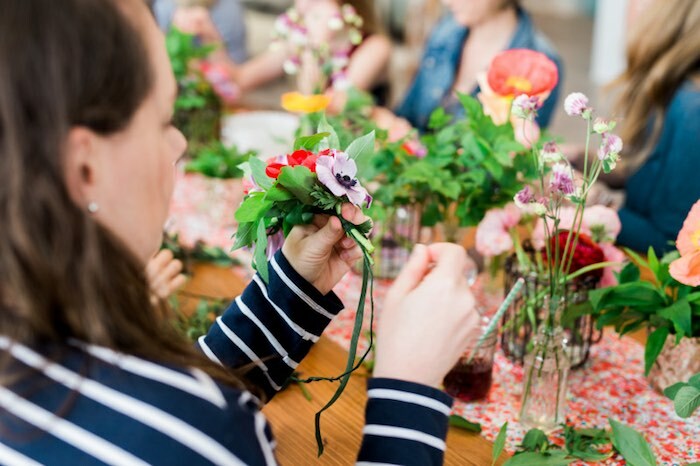 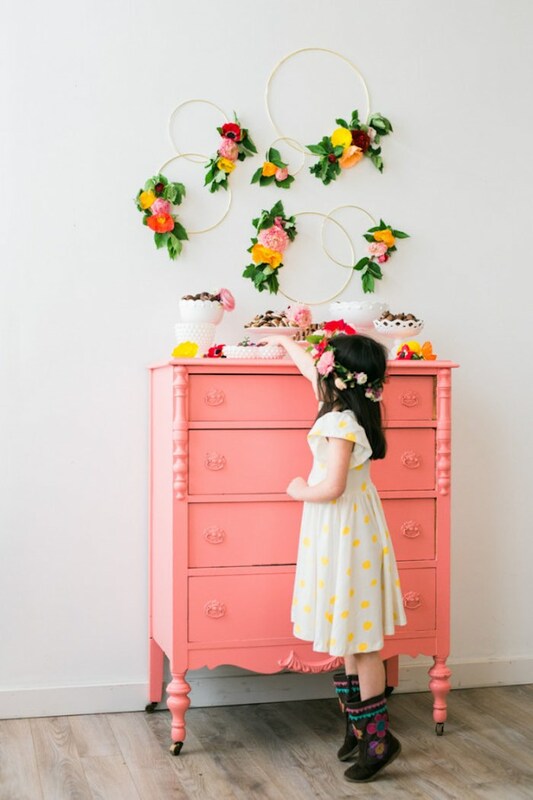 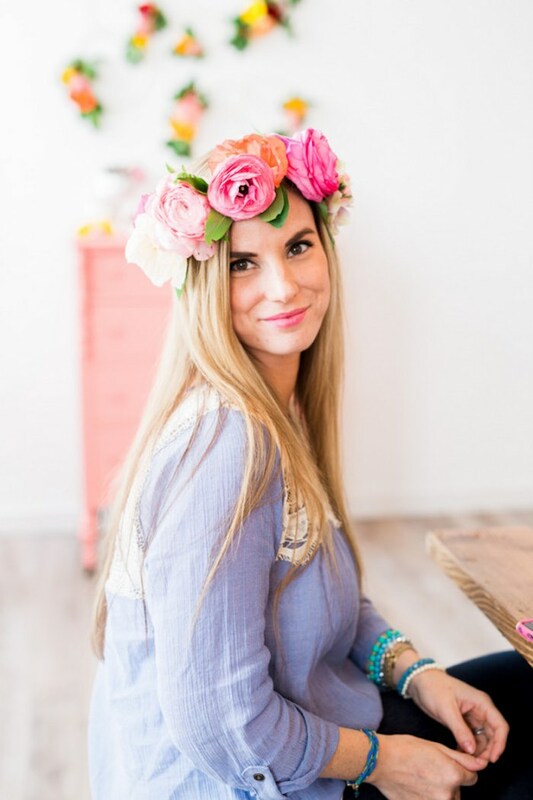 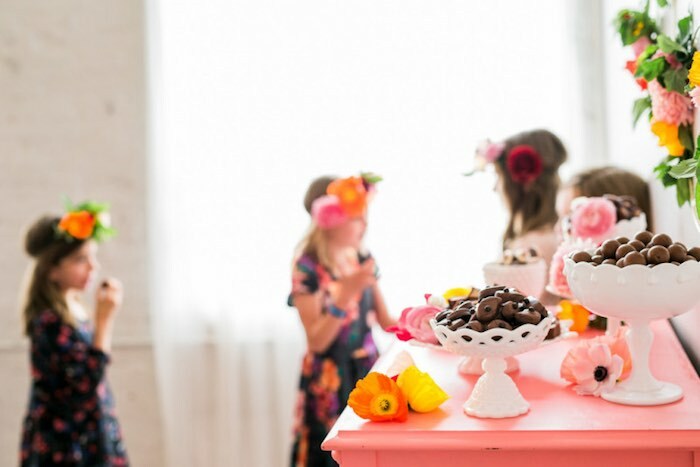 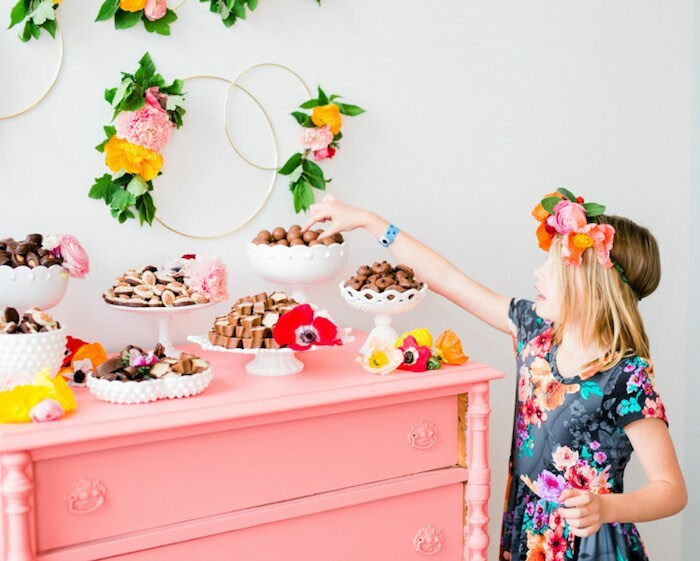 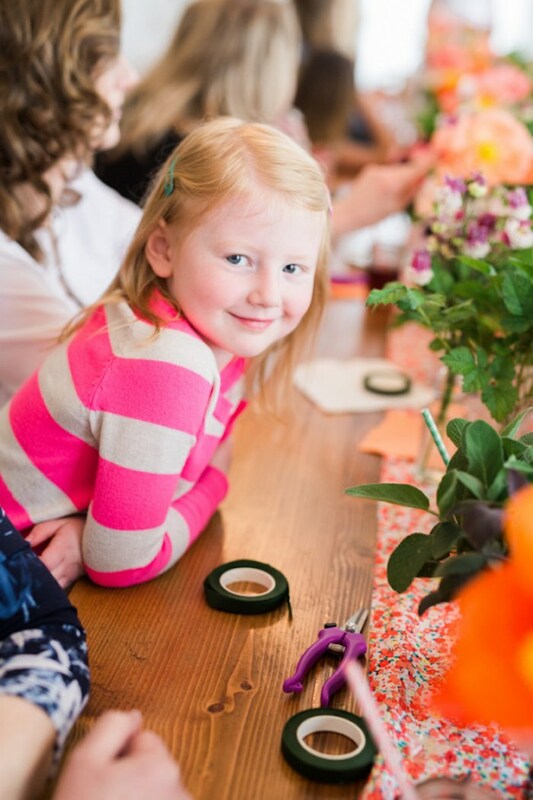 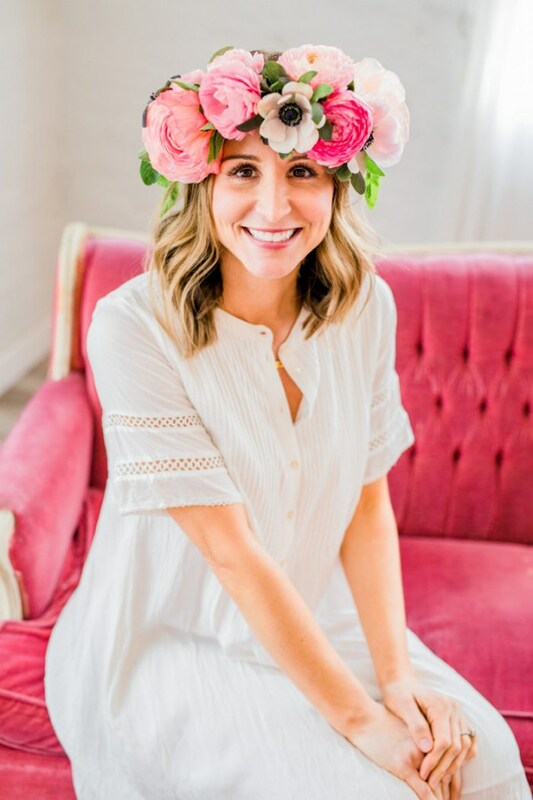 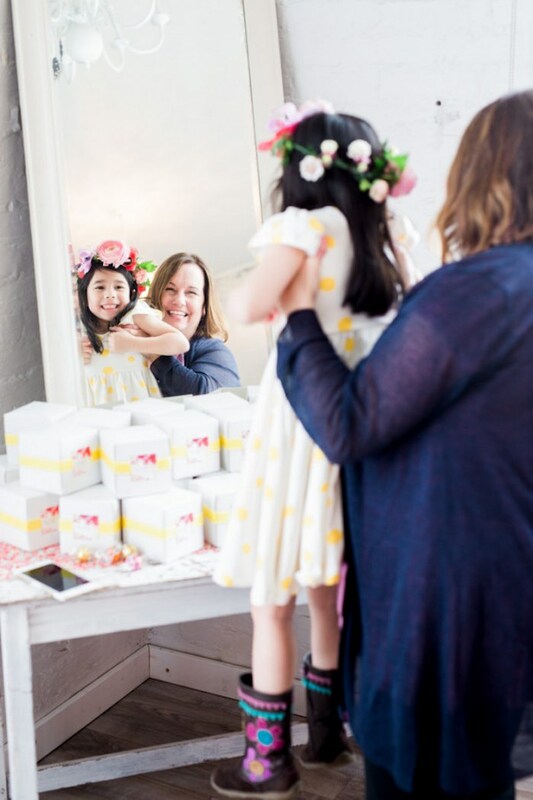 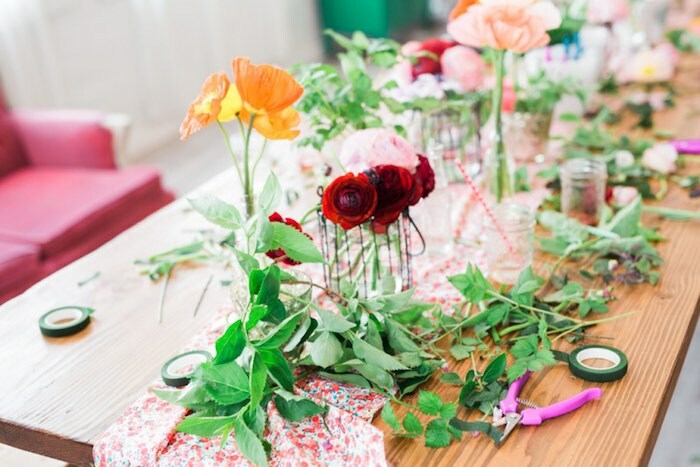 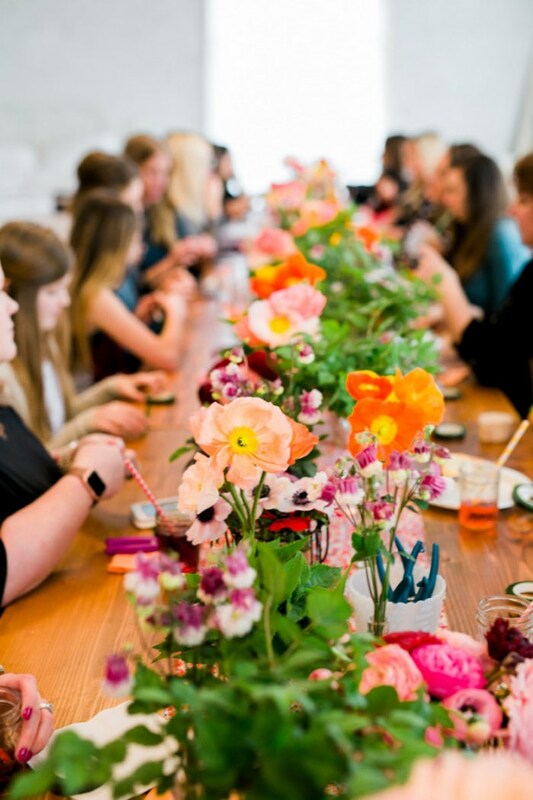 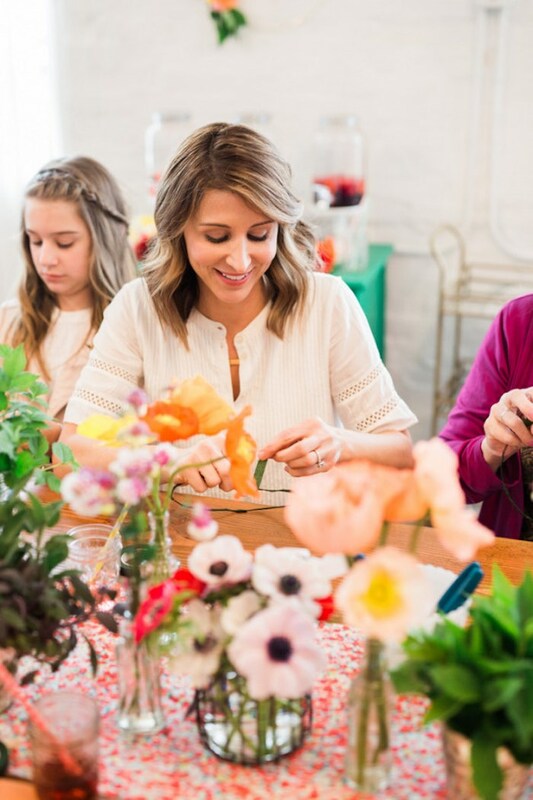 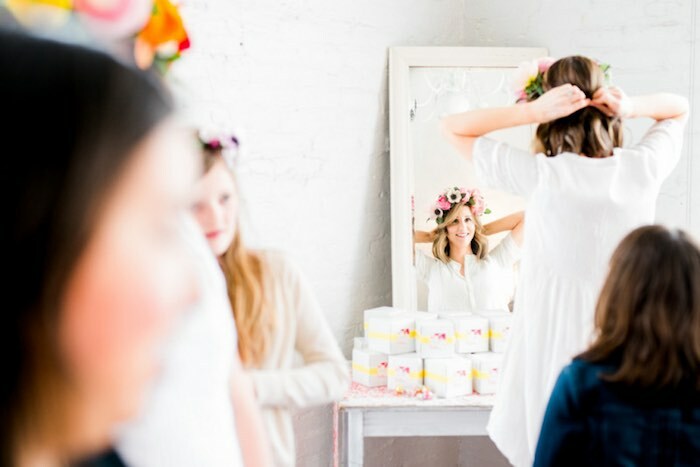 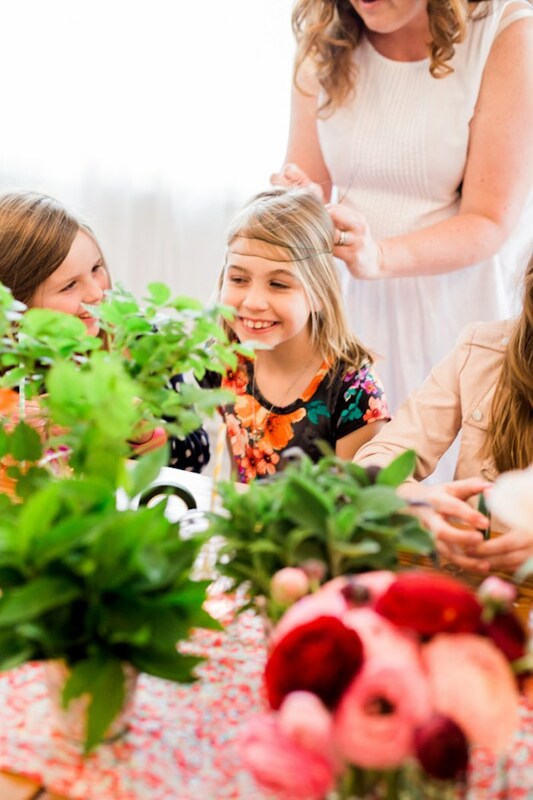 Delightfully floral and absolutely stunning are the thoughts that come to mind when viewing this gorgeous Flower Crown Crafting Party submitted by Jenny Keller of Jenny Cookies! 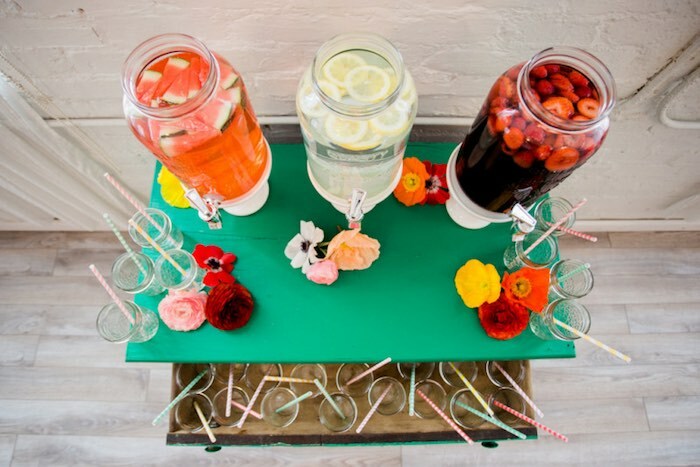 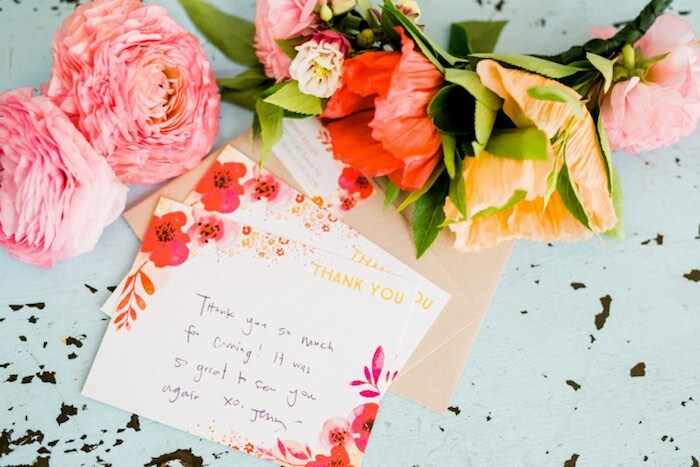 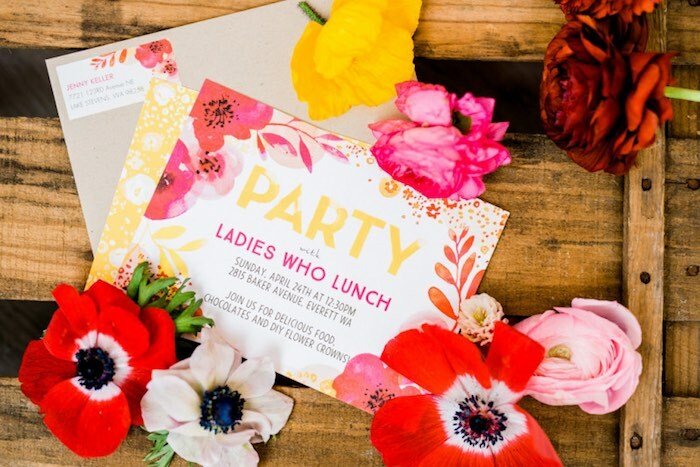 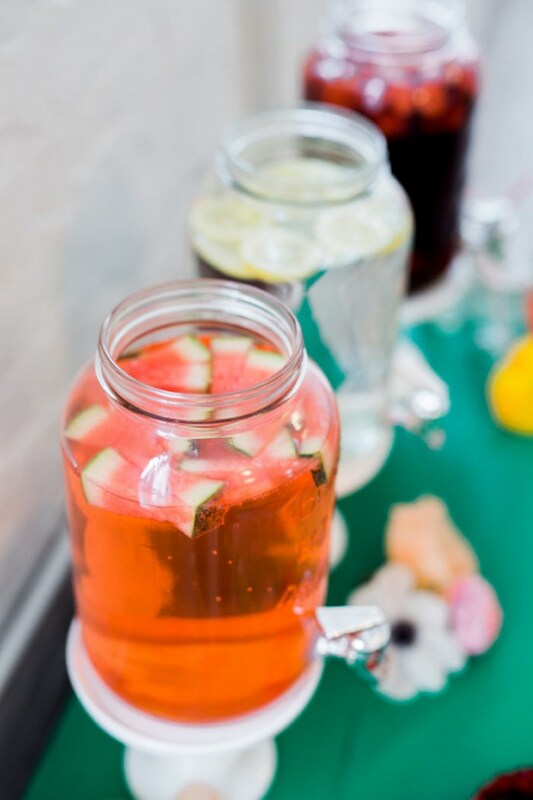 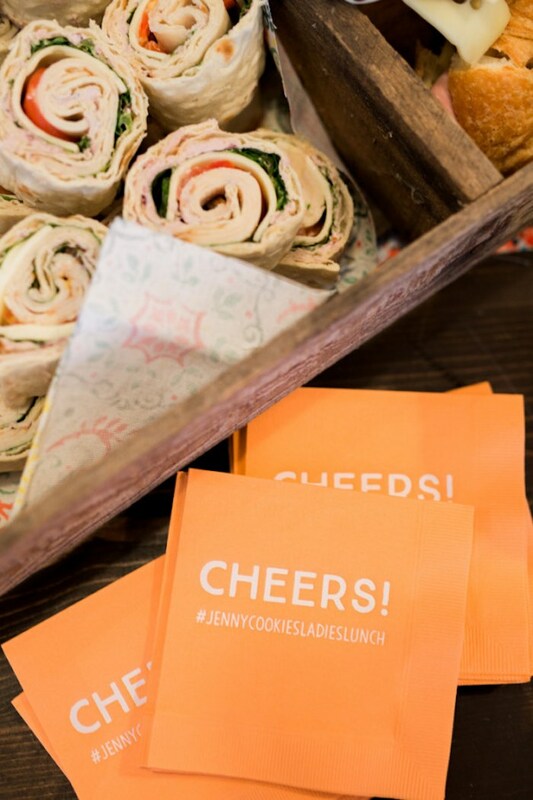 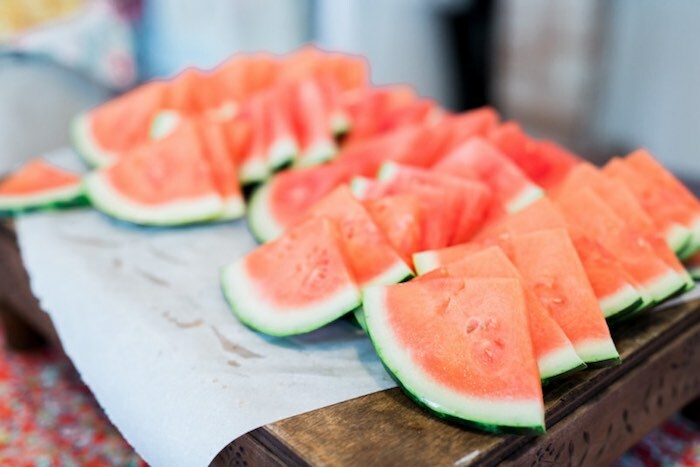 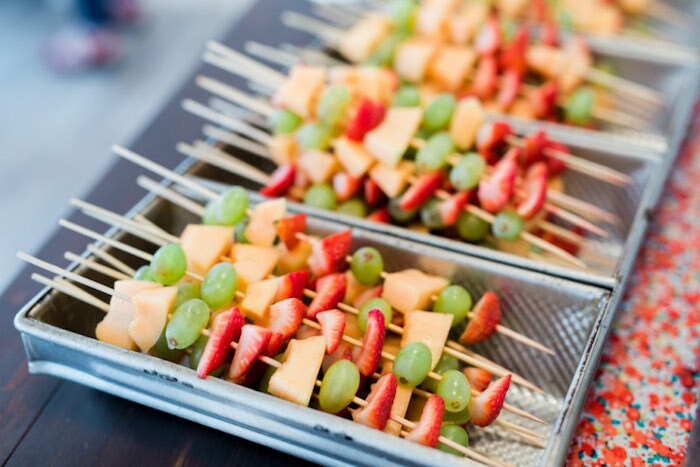 What a fun party idea for a girl’s brunch, lunch or social! 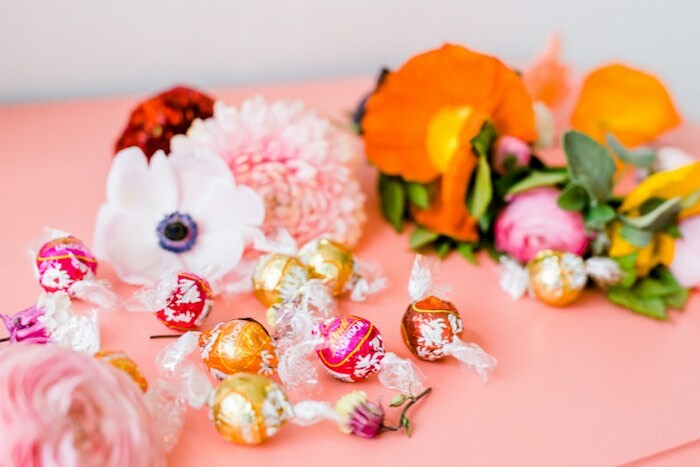 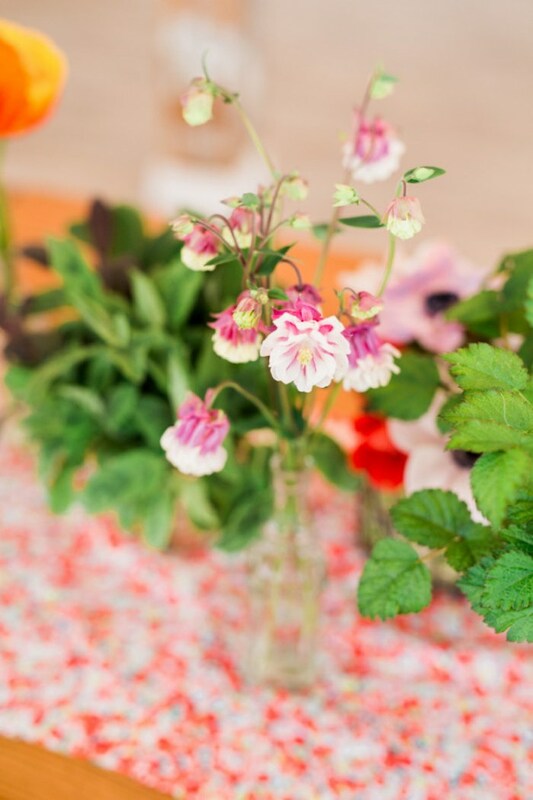 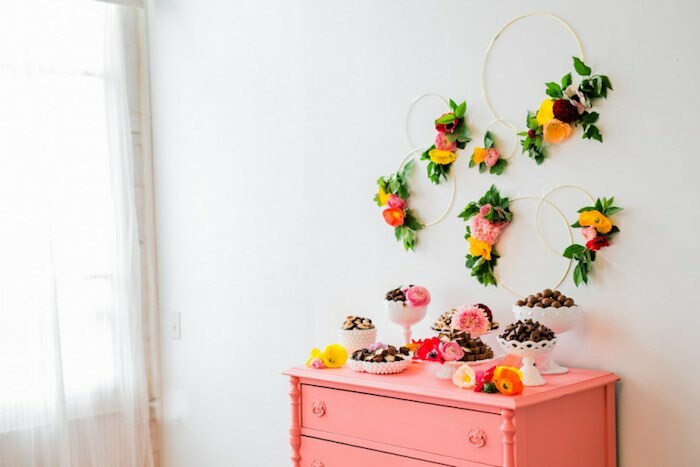 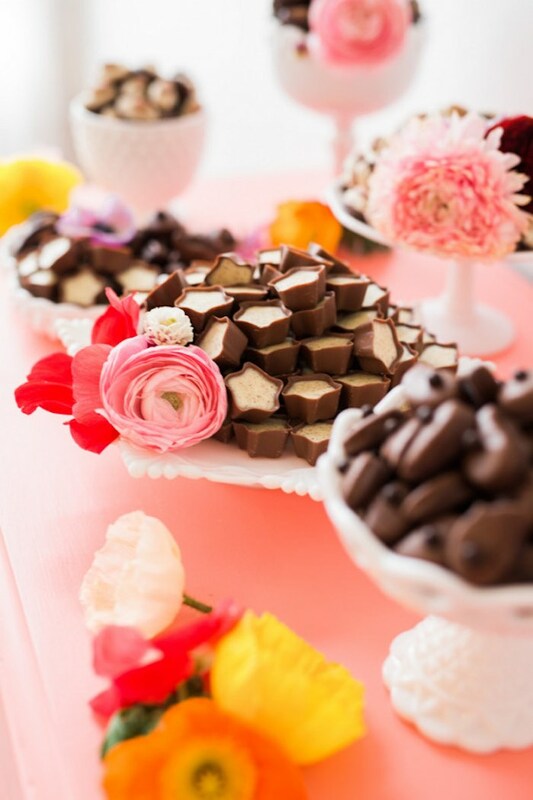 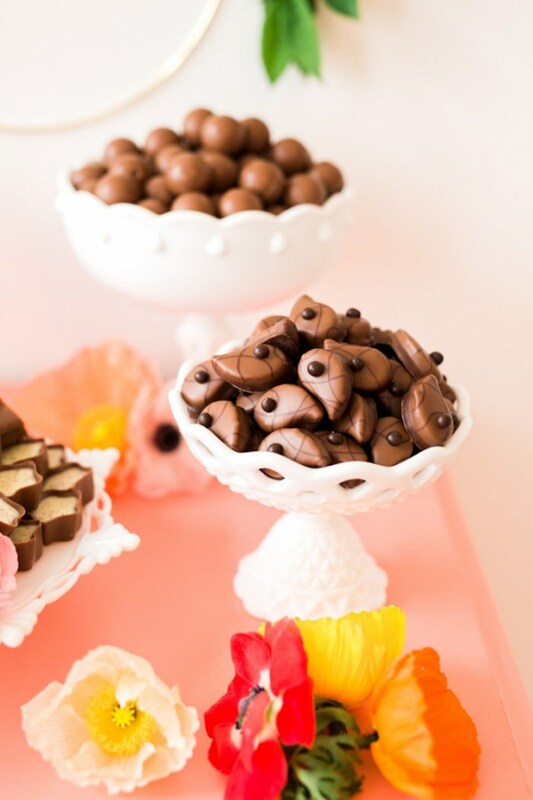 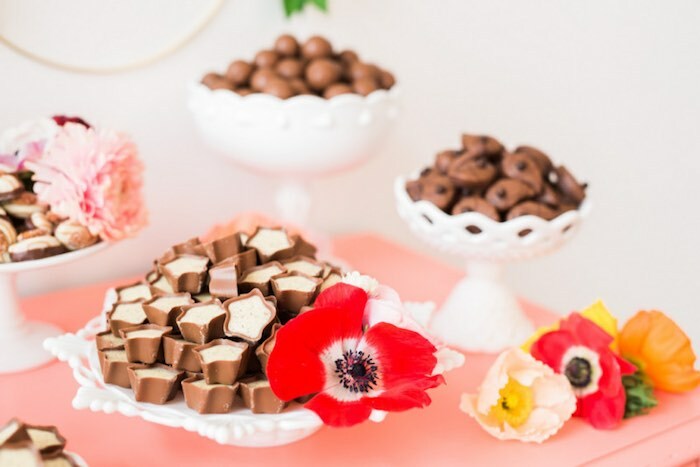 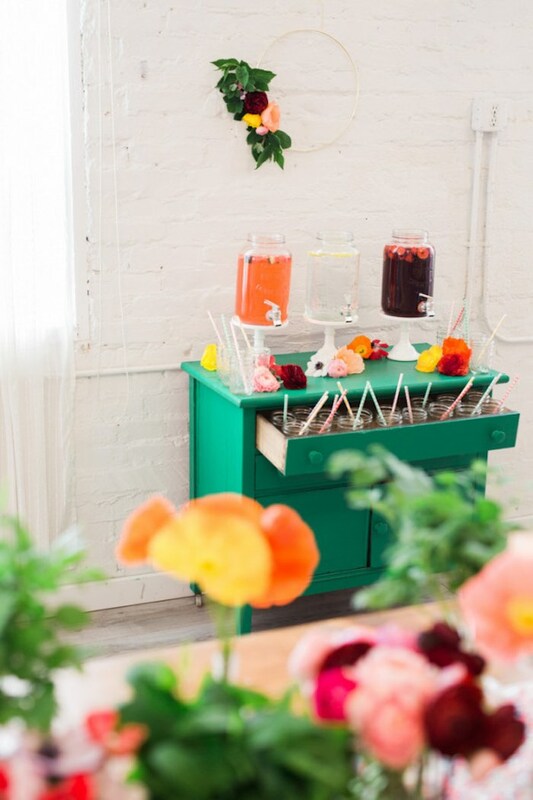 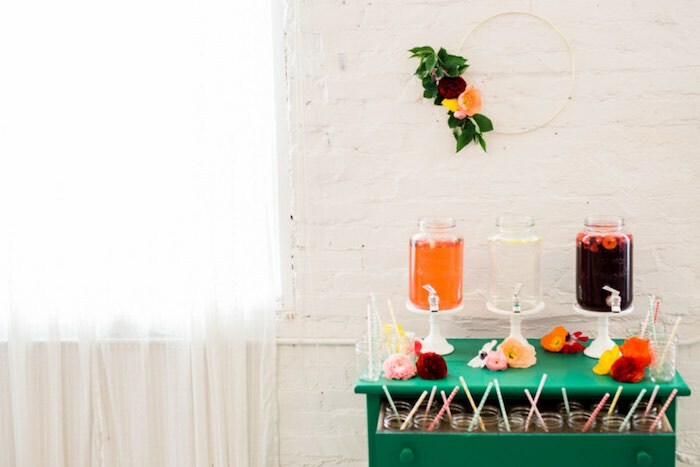 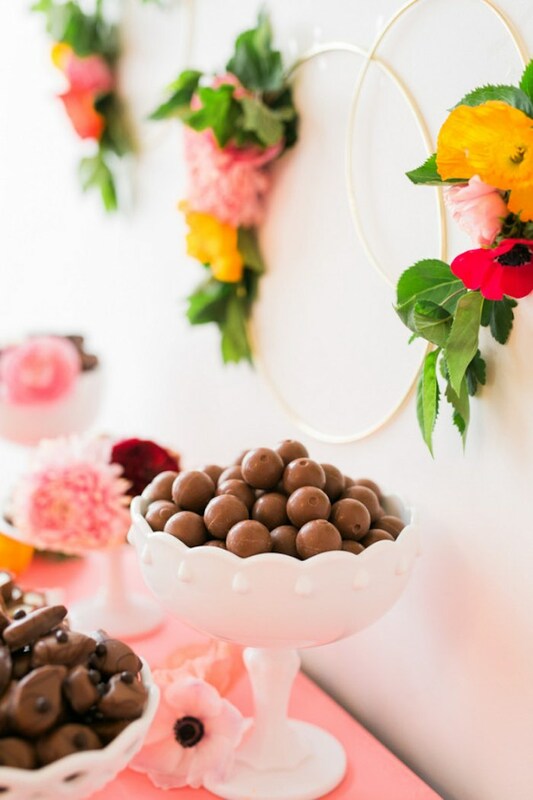 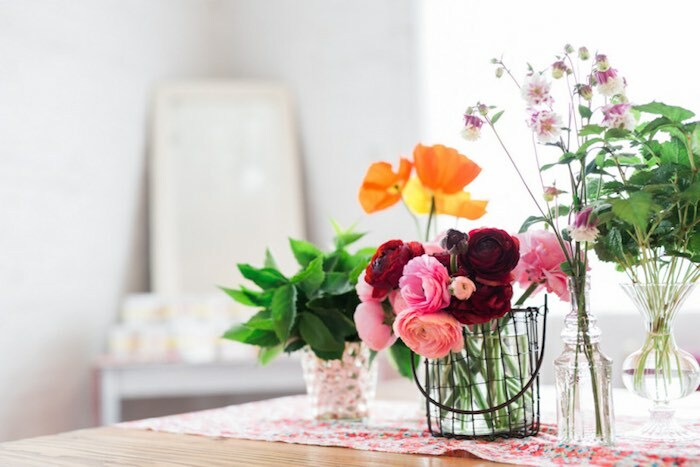 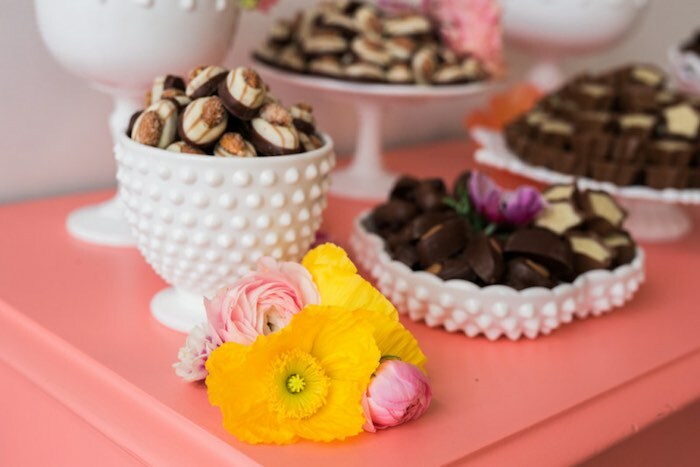 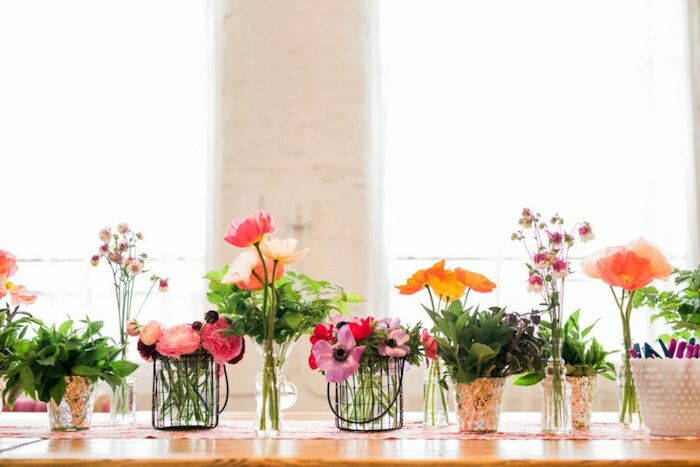 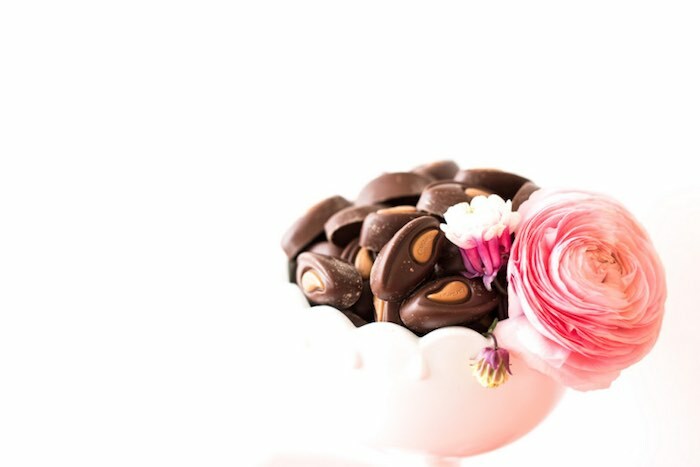 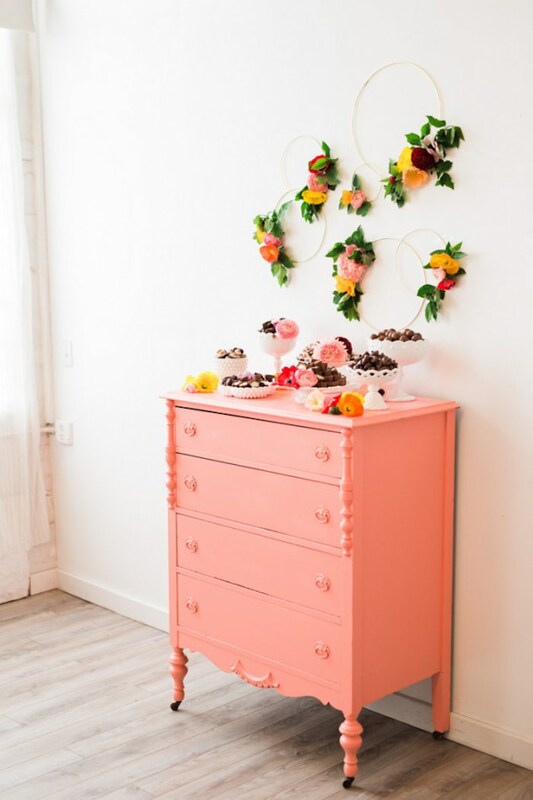 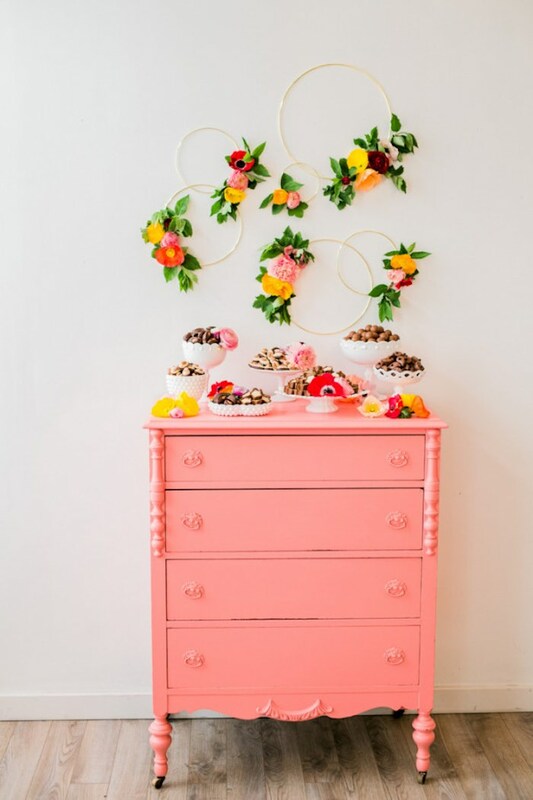 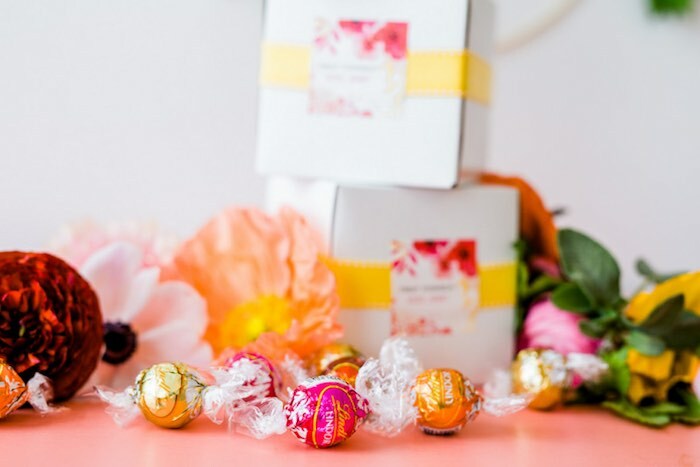 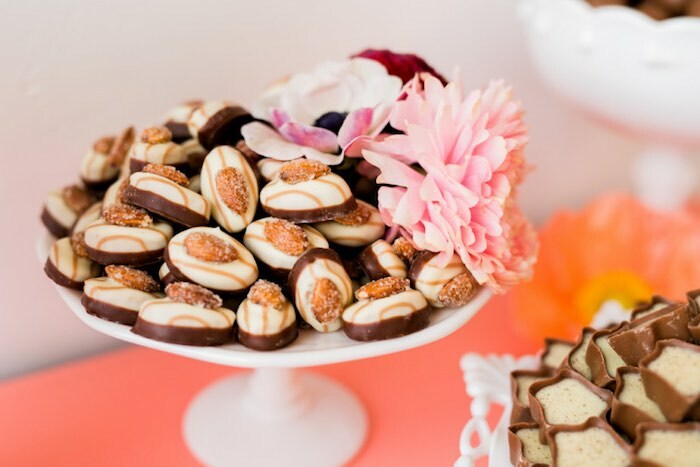 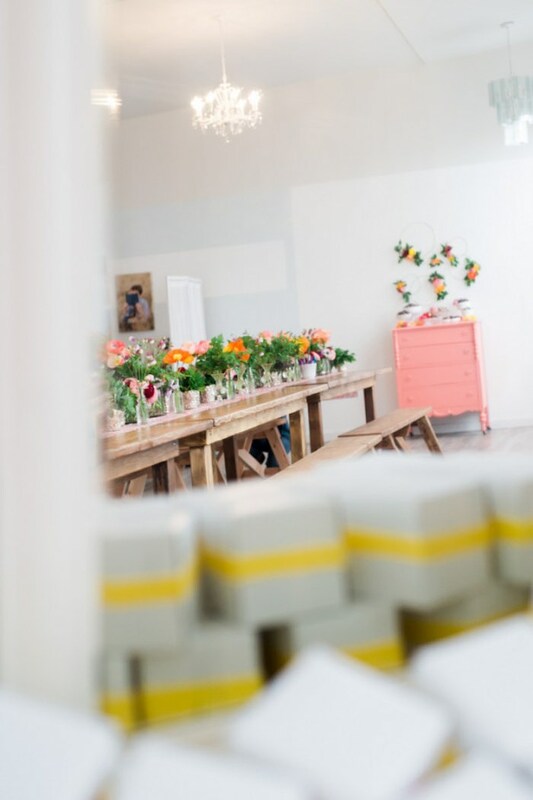 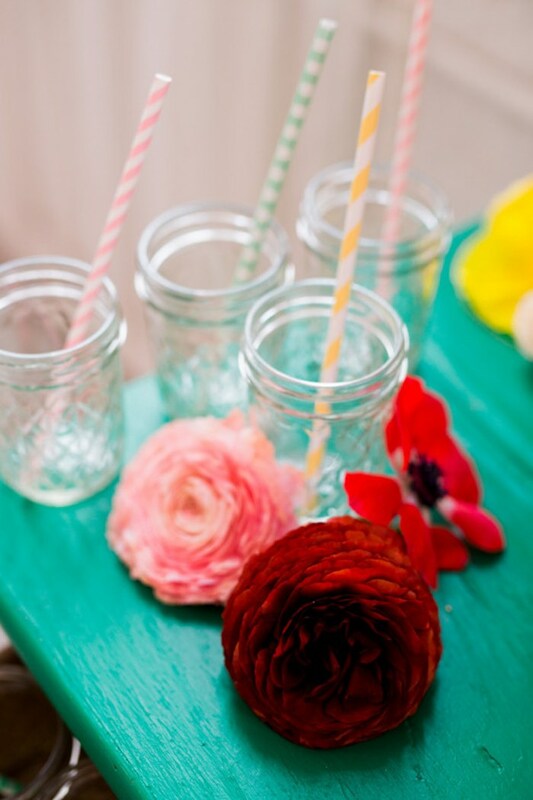 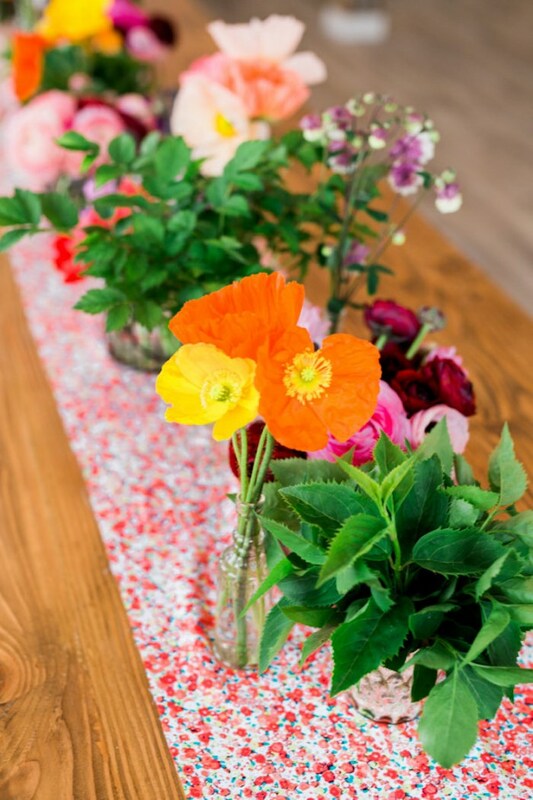 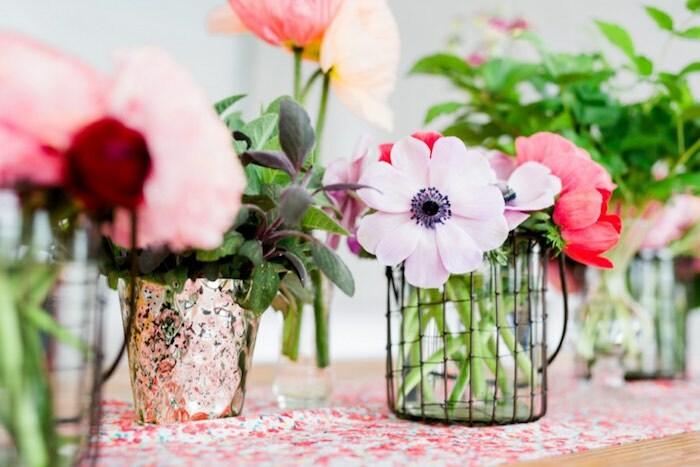 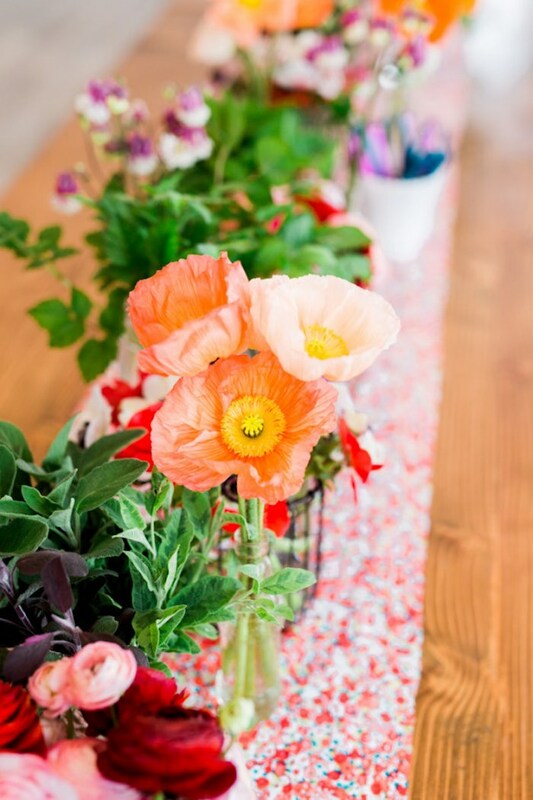 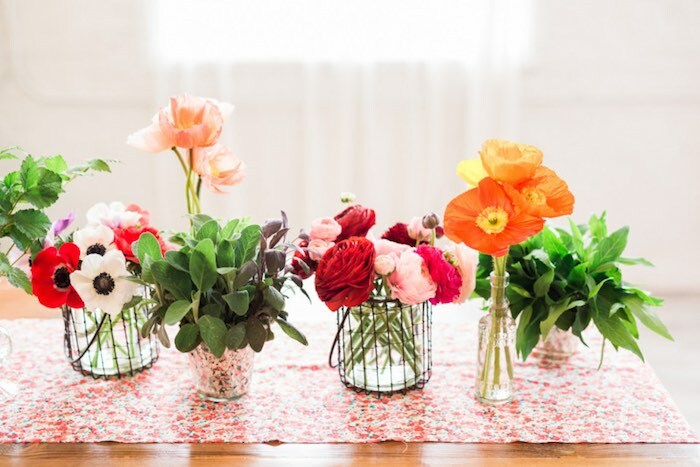 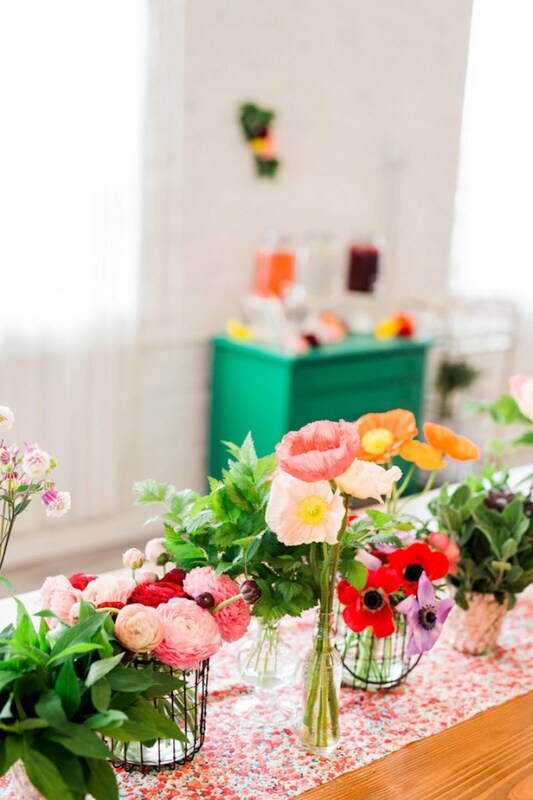 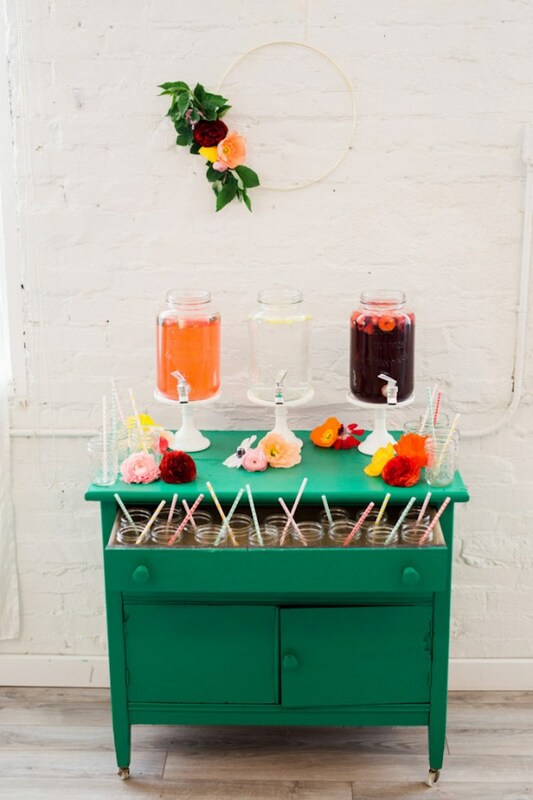 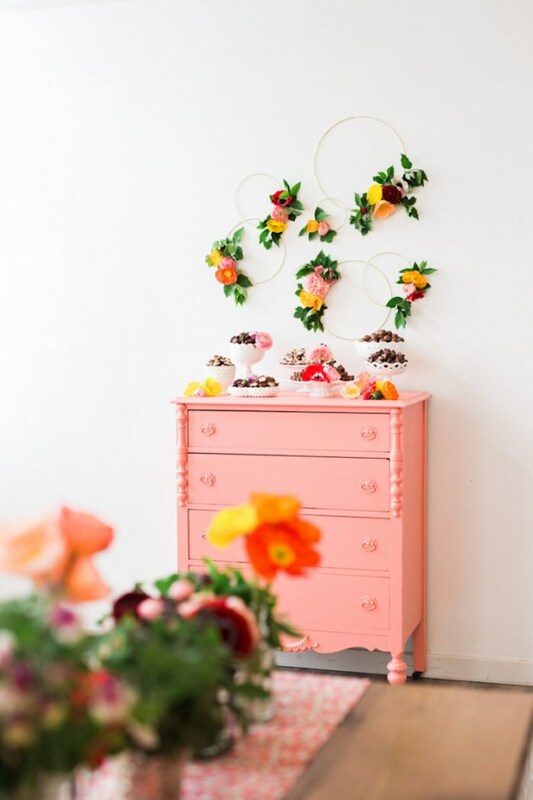 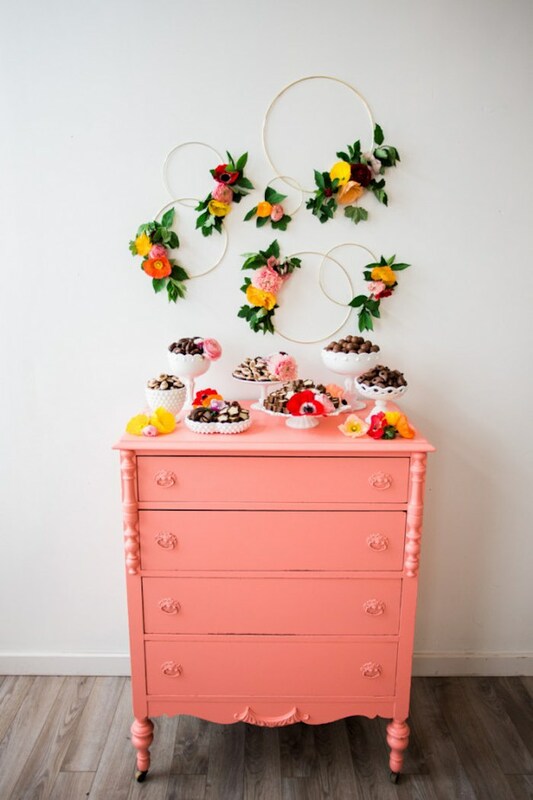 The fresh + wired flowers create such a pleasant atmosphere, and oh my goodness do I love the dessert bar of chocolates and cute drink table created from painted vintage dressers! 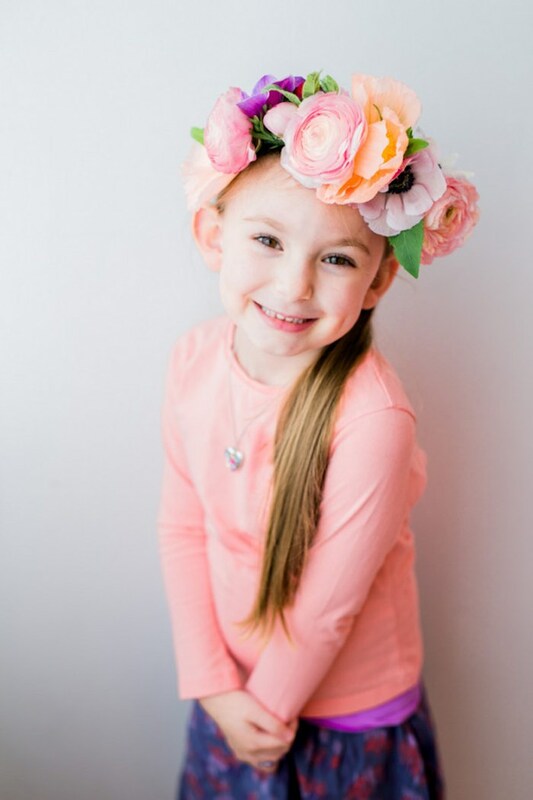 Bend wire around crown of your head. 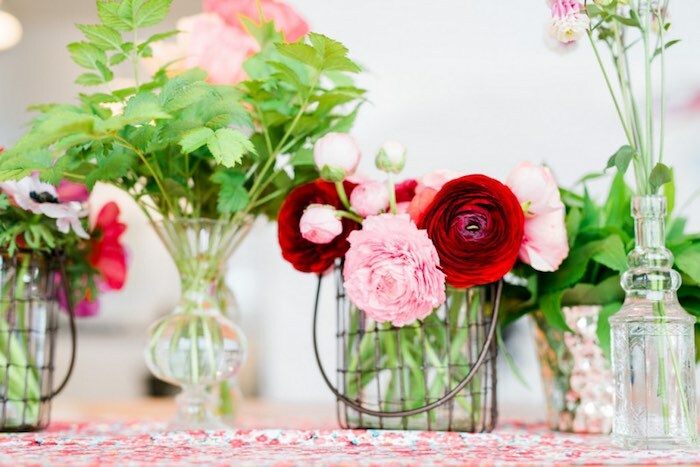 Remove and cut using wire clippers. 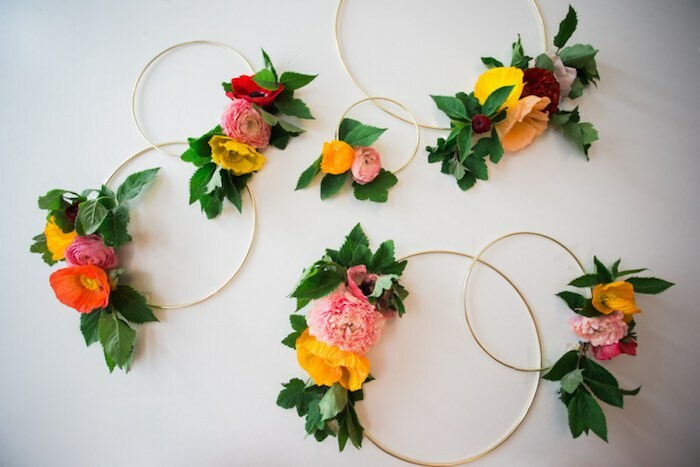 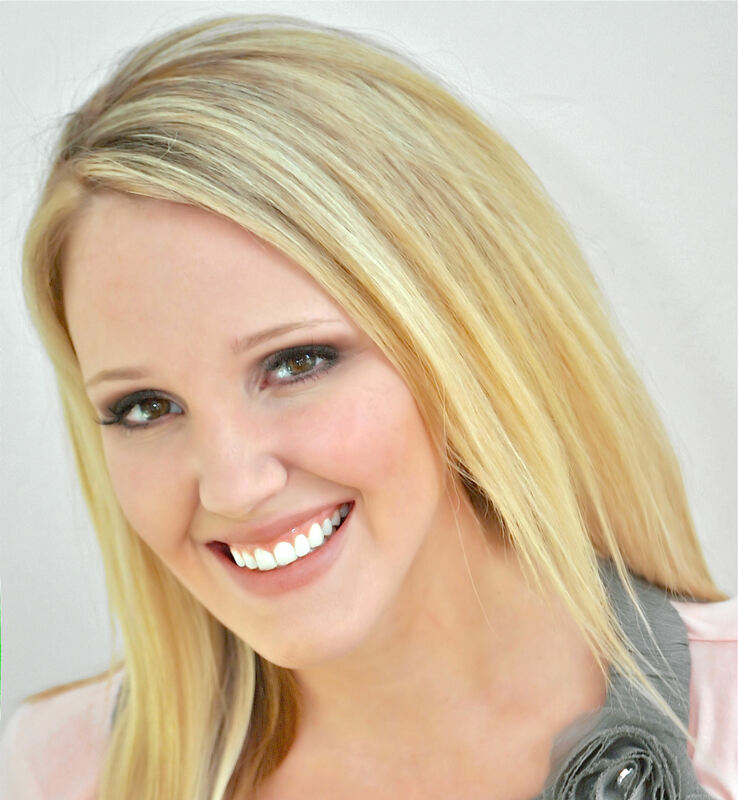 Bend pieces together to form one crown or circular shape. 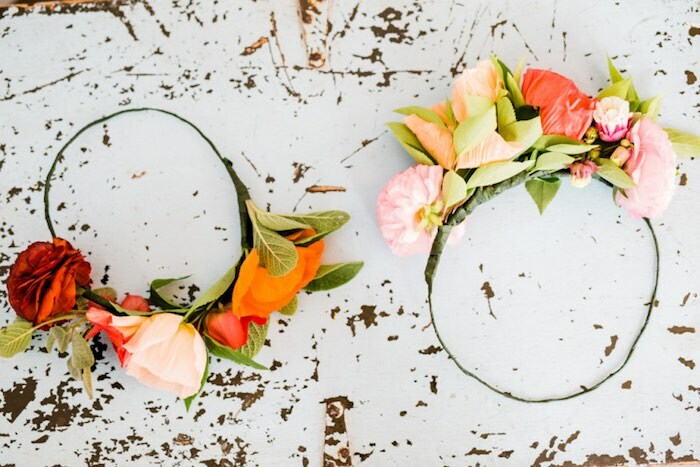 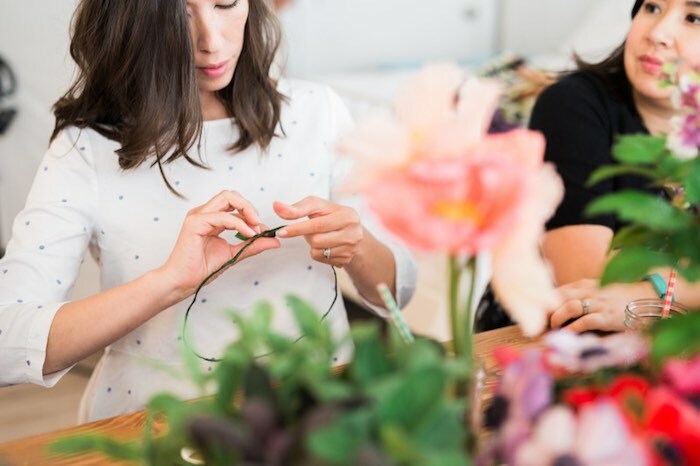 Using floral tape, wrap tape around wire crown several times until its covered completely. 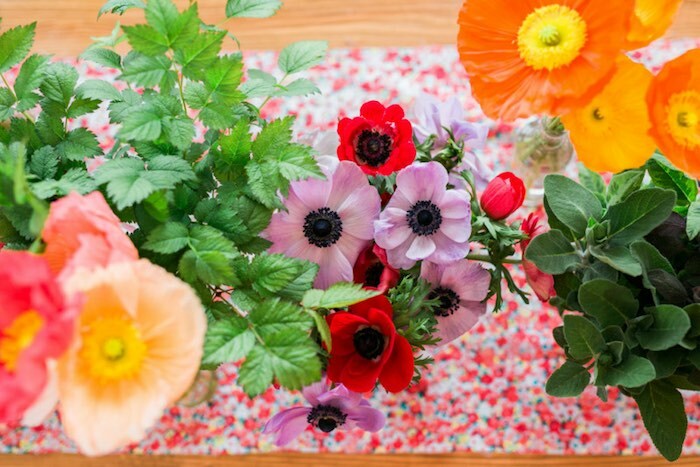 Select your greens and flowers. 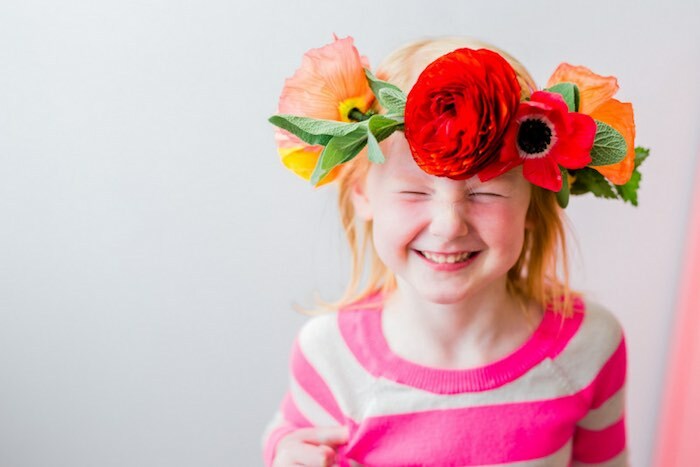 Tape stems to the wire crown using floral tape. 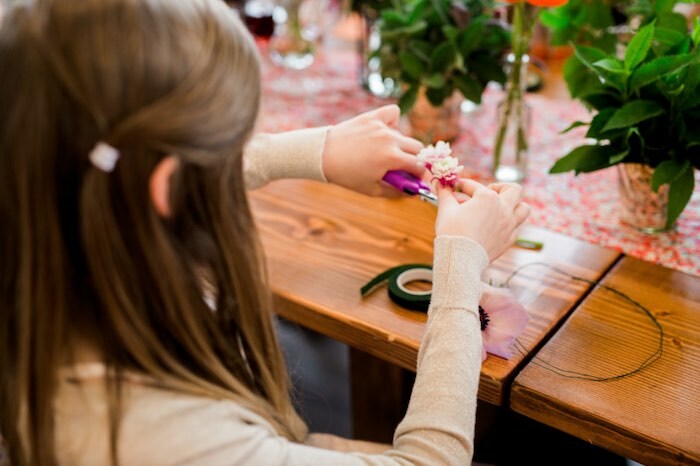 Wrap the tape around the stem a few times to secure the flower. 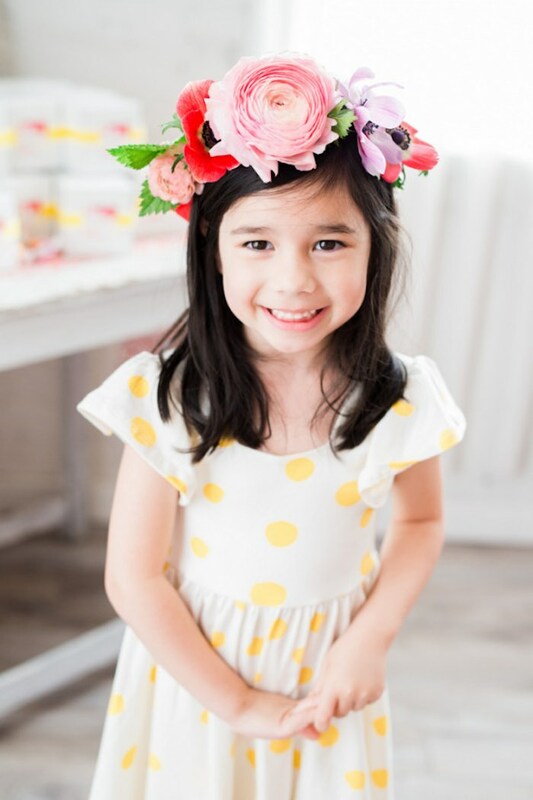 Continue to build your crown using greenery, flowers and tape until you are happy with your creation. 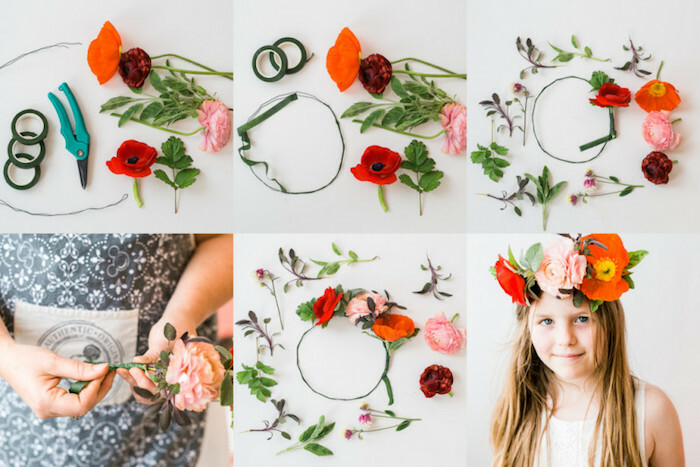 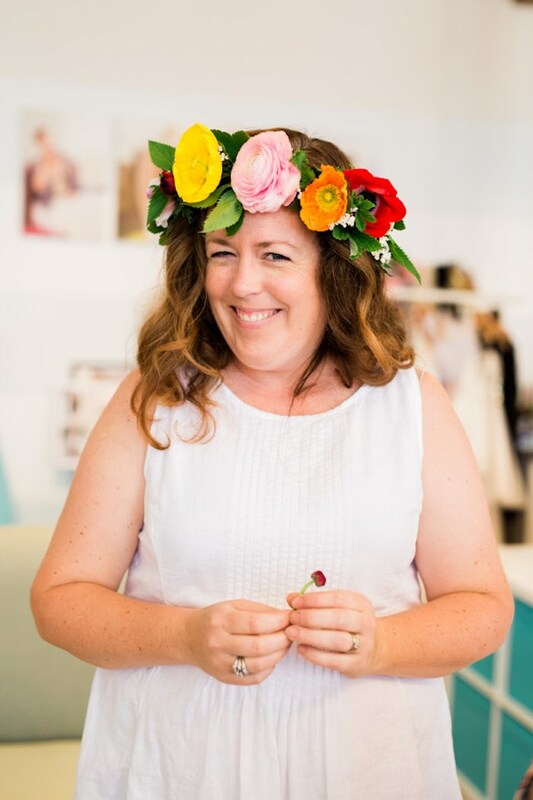 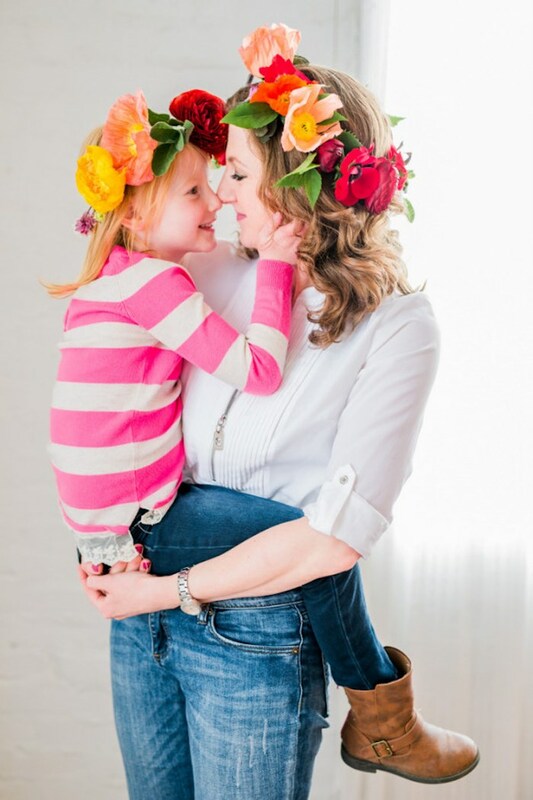 Try your crown on several times to ensure you like the flower placement as you create. 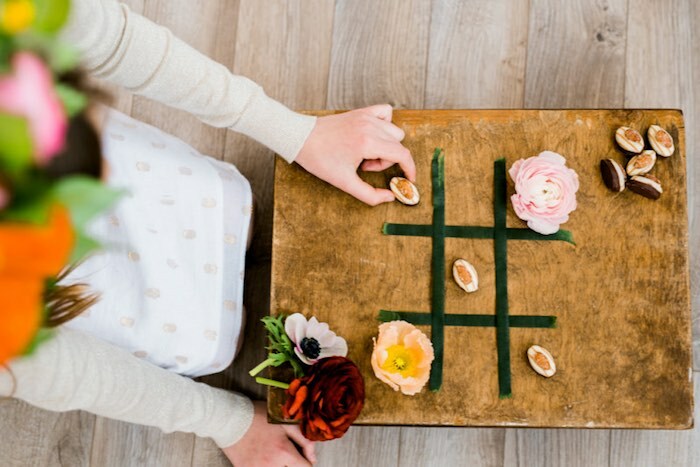 More beautiful and fun DIY to be found in this Mother’s Day Yarn Tote and this Free DIY Donut Gift Boxes!